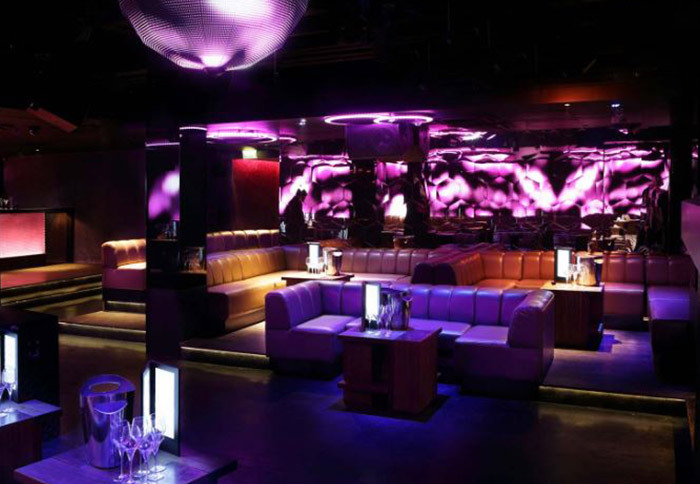 If you are looking for a fashionable and modern night venue in London, then Libertine is the right choice for you. 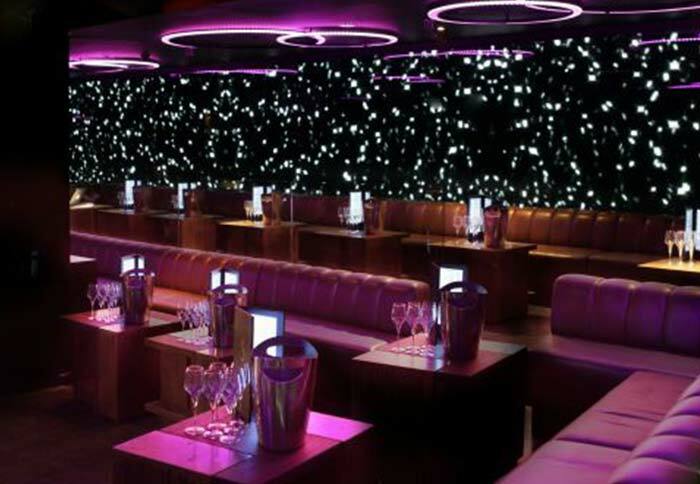 Libertine is a stylish and contemporary exclusive club situated at 4 Winsley street, Fitzrovia, London.The interior boasts a cosmopolitan and modern feel with its mirrored walls, tiered seating levels and metallic upholstery. See their stunning design in Libertine photo gallery. Upon arriving at the main area, you won’t fail to notice a huge 50 ft. screen used for projecting visuals which is synchronized with a digital disco ball suspended from the ceiling. A long bar occupies one side of the room showcasing a wide array of wines and liquors. Behind the elevated DJ podium, a discreet door leads to an intimate, private VIP room. 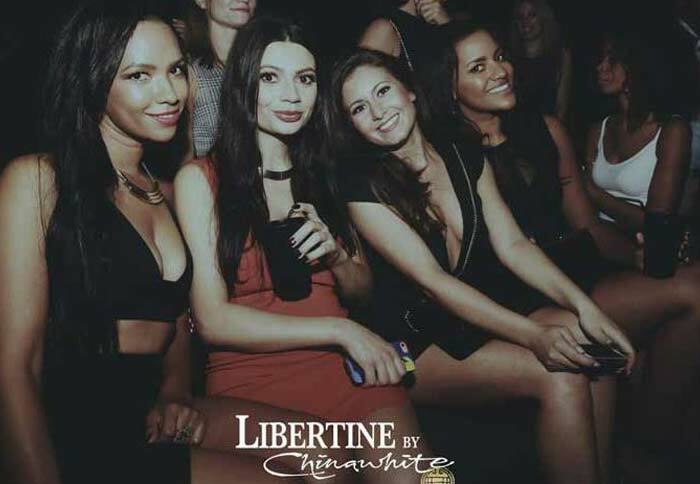 The venue is open from 10:30pm – 3:00am on Wednesdays and Friday to Sundays .Cover charge is £ 20 , and ladies are free at doorman’s discretion.Libertine can host up to 400 people and is suitable for product launches, Christmas parties and birthday parties. 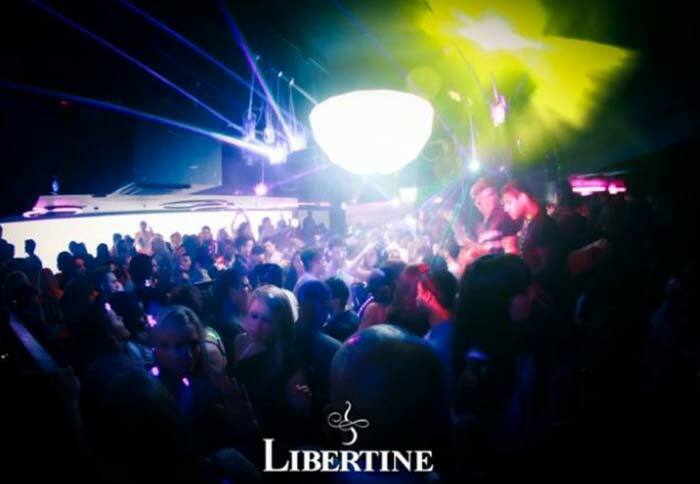 Make sure you check out the Libertine entry price and bottle prices so you can make the most out of your Libertine parties. 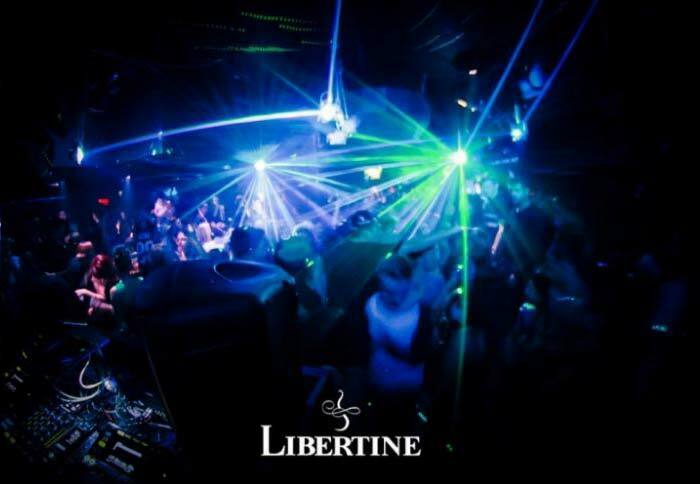 Considered as one of the capital’s exclusive nightclubs, Libertine maintains and operates a very strict door policy. To avoid any hassle or disappointment, dress your best and make sure to bring a photographic ID with you. 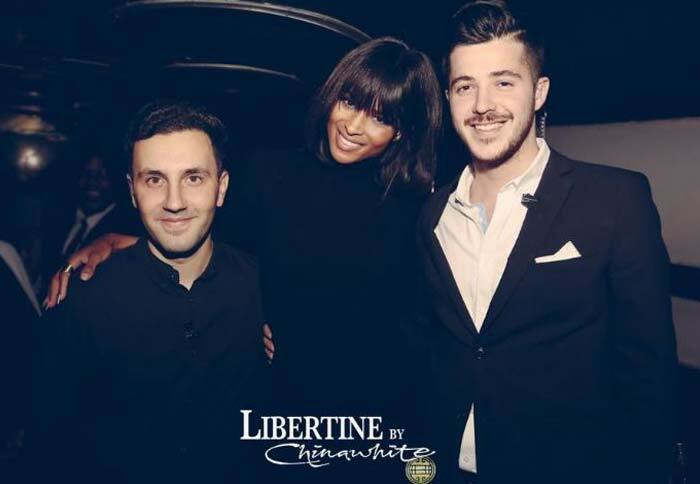 Libertine management reserves the right to refuse entry to those people who don’t look the part and adhere to proper Libertine dress code. Check out Libertine photo gallery to know what to wear. 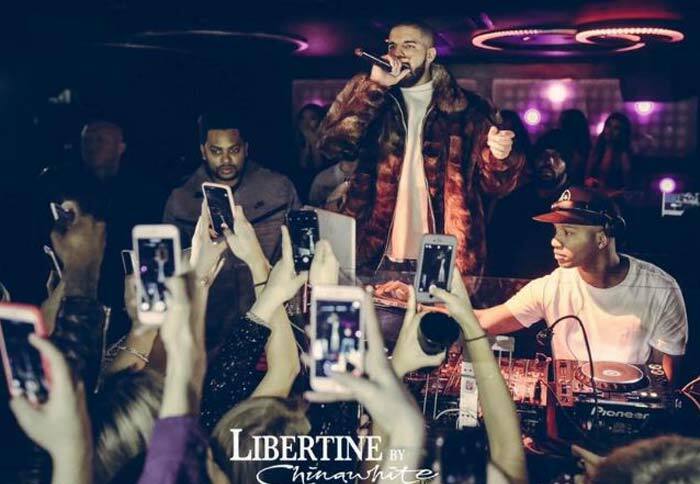 Libertine is a popular hangout for RnB artists as well as Premiere League Footballers. Kate Moss, Nicole Ritchie, Lindsay Lohan, Rita Ora, Gigi Hadid and Ciara are among the Libertine celebrities who frequented the club. Tom Cruise was seen hanging out in the DJ’s booth in one of his visits here. 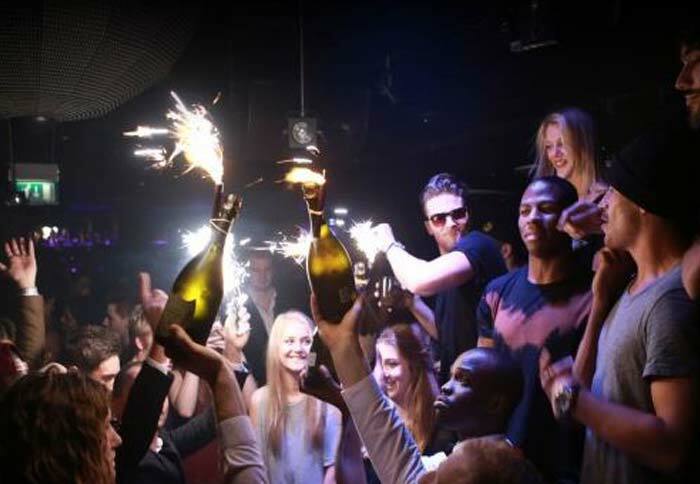 Libertine is predominantly a members-only club, but it has a limited number for non-members in the guestlist. You can request to be included in Libertine guestlist, once your application is approved, one our team to contact you and assist your Libertine table booking. You can check out our official Facebook page, Instagram, and Twitter account to gain access to our Libertine photo gallery to see more photos of what are happening inside this premiere luxury club in London.